I wrote this story for Reuters, where it first appeared on November 30, 2010. With NRG Energy’s announcement on Tuesday that it will invest $450 million investment in a California photovoltaic project, the New Jersey-based power provider has pledged a total of $750 million for big solar plants in the past two months. A new report from GTM Research indicates why NRG sees such sunny prospects for the solar business. According to the researchers, utilities in the United States already have signed contracts for 5,400 megawatts’ worth of photovoltaic power plants that will be built by 2014 with another 10,100 megawatts in negotiation. 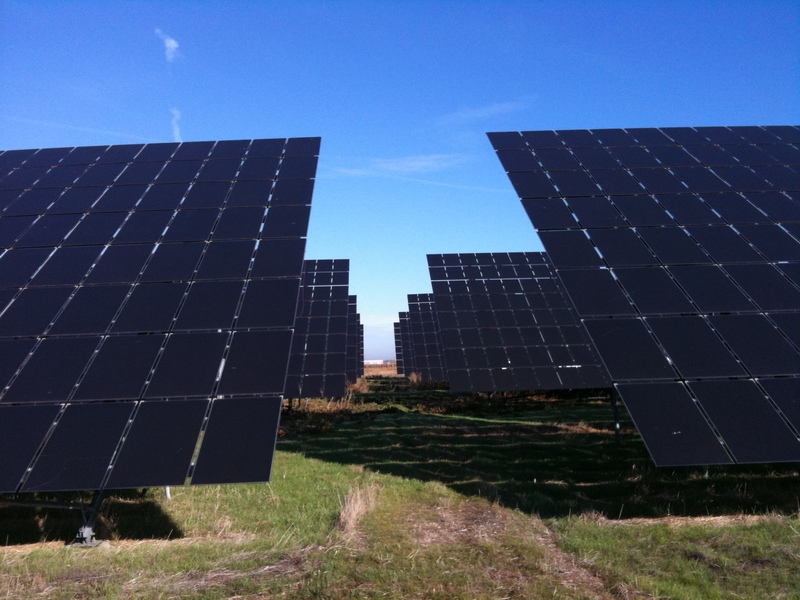 The U.S. utility-scale photovoltaic market is expected to grow from $1 billion in 2010 to $8 billion by 2015, the report said. That growth is being driven by a 50 percent fall in the price of photovoltaic modules since 2009 as well as state mandates that require utilities to obtain a certain percentage of their electricity from renewable sources. The price of natural gas, though, will play a critical role in the competitiveness of solar power plants. While solar farms can produce electricity at near-competitive rates with natural gas-fired power plants during peak demand in some states, the plunge in natural gas prices in recent years has put more pressure on photovoltaic developers to lower costs. No surprise that the largest solar market remains in California, where the state’s three big investor-owned utilities hold contracts for 78 percent of the nation’s 5,400 megawatt pipeline of projects. But there is one dark cloud that threatens to rain on this photovoltaic parade: Project financing. As part of the federal stimulus package, the government offered renewable energy developers the option of taking cash grants to cover 30 percent of a project’s costs in lieu of an existing investment tax credit. With the cash grant program expiring at year’s end, developers will have to turn to so-called tax equity investors who take the investment tax credit in exchange for cash to finance power plant construction.